BioSpace.com is a comprehensive source of information for Life Sciences professionals. Reliable news content is posted daily, keeping followers and investors up to date on the latest in the biotech and pharmaceutical industries. Along with breaking news, jobs are posted daily from some of the best companies in the industry. Job postings in the Houston area provided by BioHouston. Fannin Innovation Studio's Fellowship program provides MDs and PhDs in the Texas Medical Center institutions with hands-on leadership experience in early-stage life sciences business development and commercialization. Want to build a healthcare company from scratch in the world's largest medical center? 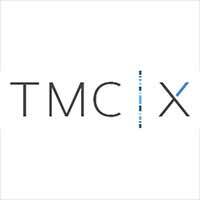 The TMC Biodesign Fellowship Program is recruiting entrepreneurs to build startup companies solving some of healthcare's greatest problems.